After almost twenty-eight years, I finally see Madam Yeong smile. 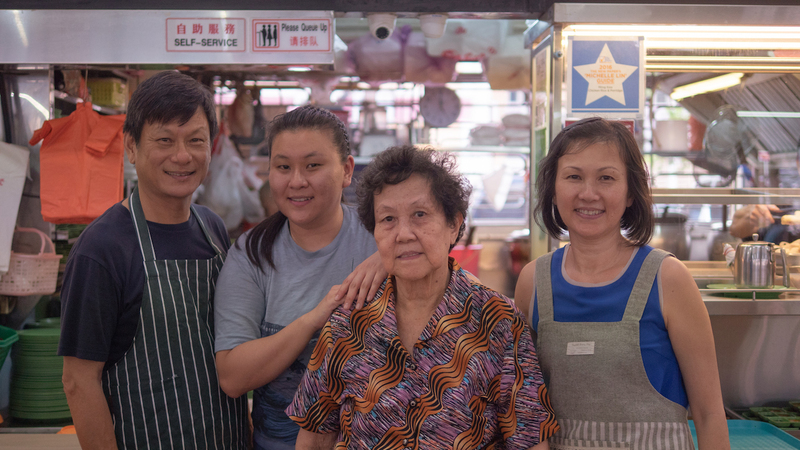 As founder and boss of the famous Ming Kee chicken rice stall in Bishan’s Kim San Leng coffee shop, 78 year-old Madam Yeong is a familiar figure to everyone in the area. From when I made my way to school in the morning to now, when I return from work at night, I’ve always seen her at the stall. I’ve observed her silently take orders and chop chicken; witnessed the effects of time on her face, a new wrinkle appearing every now and then, or a cluster of age spots that didn’t use to be there. Whether she realises it or not, Madam Yeong has been a part of my life for as long as I can remember—a familiar stranger whom I knew nothing about because she was always busy and always unapproachable. This afternoon, however, her usually stern countenance gives way to a matronly charm. I watch her stare quizzically at her 35-year-old colleague and granddaughter Grace—for a brief moment—before loudly exclaiming in Cantonese and chuckling in amusement. 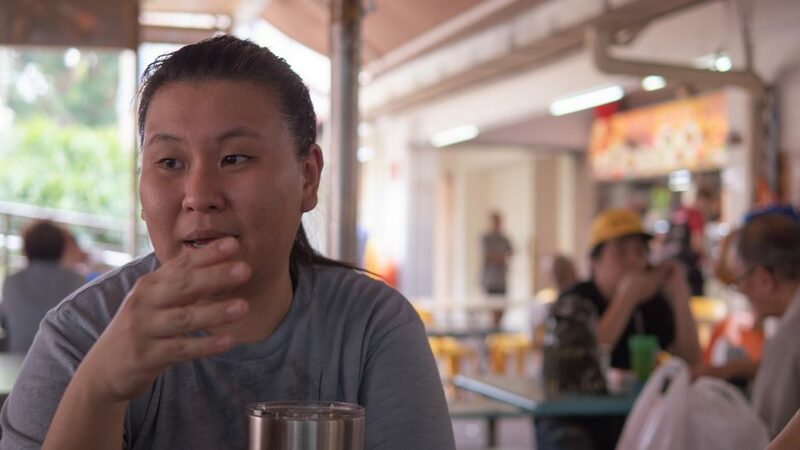 “If you have interest in what you do, you won’t get tired doing it,” Grace translates, while her grandmother glances over her own shoulder at her chicken rice stall, temporarily distracted from the conversation. 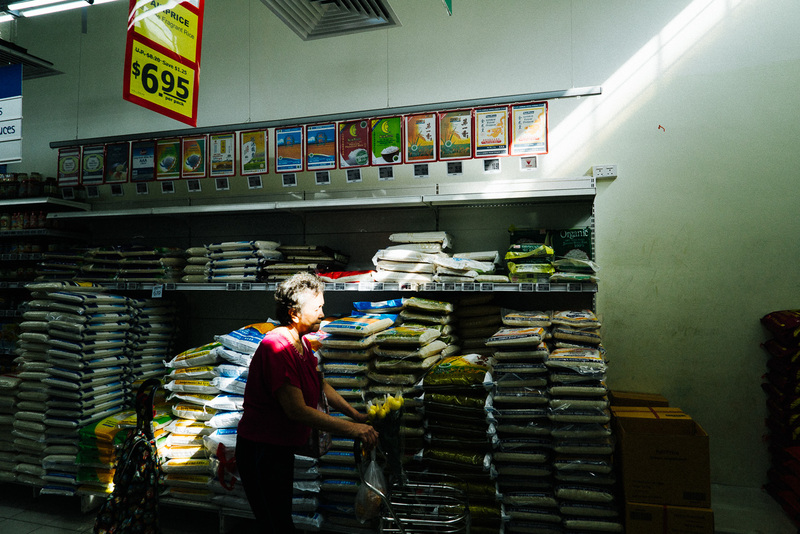 Madam Yeong is eager to get back to work, but after a bit of coaxing and one more longing gaze at her stall, the corners of Madam Yeong’s lips curl into another smile, and she tells me about her legacy. 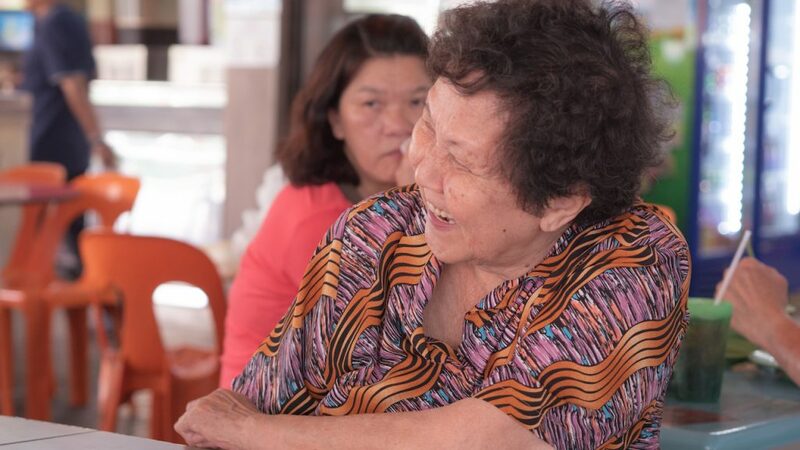 For the first time, this writer sees Madam Yeong laugh. The Ming Kee story begins almost 40 years ago, long before the Ming Kee name even existed. 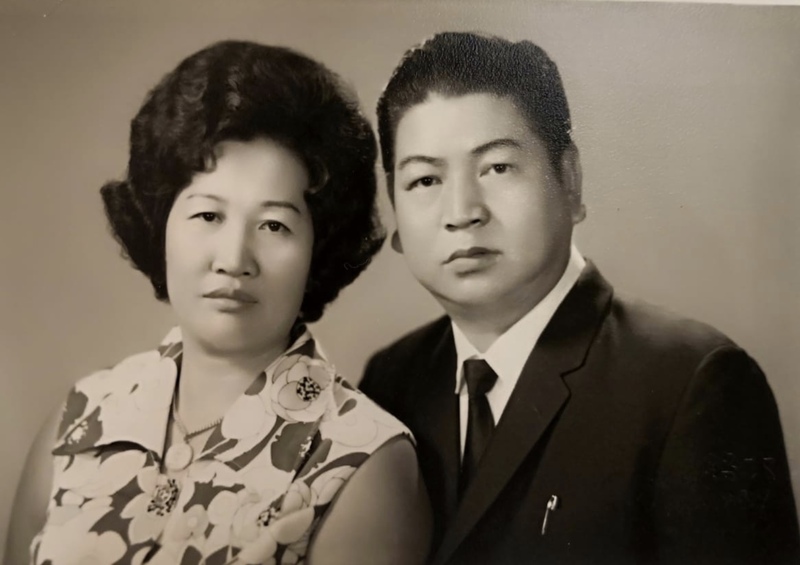 As the eldest child of parents already in the food business, Madam Yeong’s introduction to the culinary world happened early in life as she helped with the processing and trading of cuttlefish. Being the eldest meant that growing up, part of the responsibility of taking care of her younger siblings fell on Madam Yeong. This meant not only ensuring that they didn’t get into trouble, but preparing their meals as well. Grace explains that it was a no-brainer. 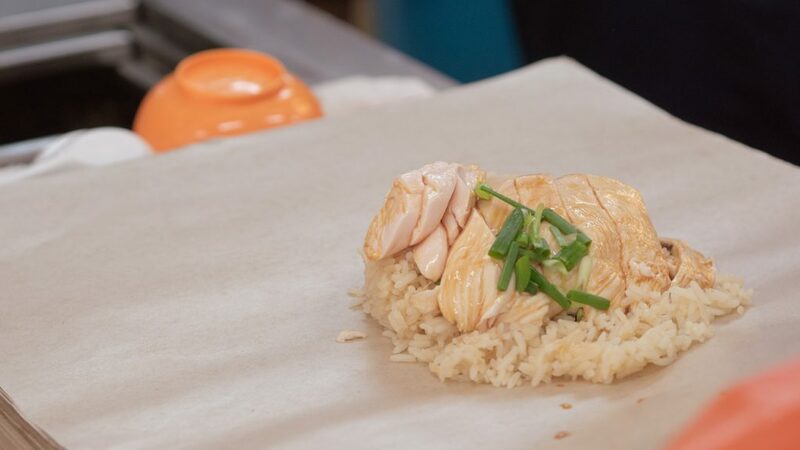 Cooking chicken rice was something that her grandmother had become good at after tweaking recipes through trial and error, and experimenting with new preparation techniques. Her sisters also liked the idea of doing something together. And so they decided to give it a shot. The sisters’ risk paid off. 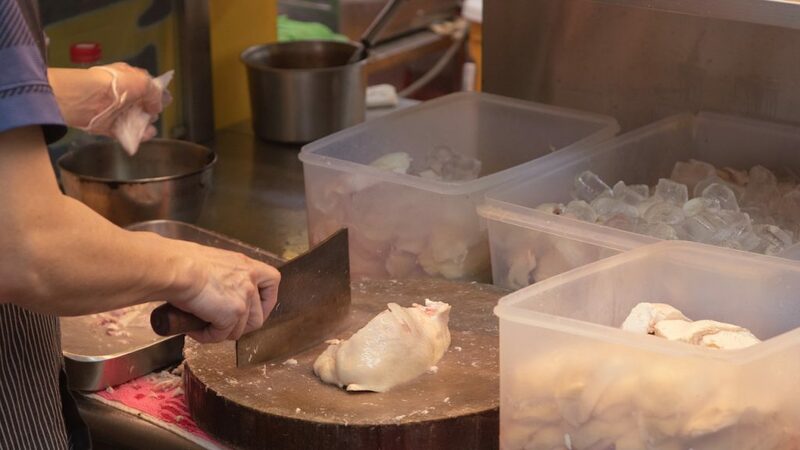 Thanks to their chicken rice recipe and the tightly-knit community back in the Bugis street of yesteryear, business boomed at their humble stall and stayed that way until the mid 1980s, when Bugis underwent major urban redevelopment. Because of this upheaval of residents and shops in the area, the sisters took the opportunity to strike out individually on their own. 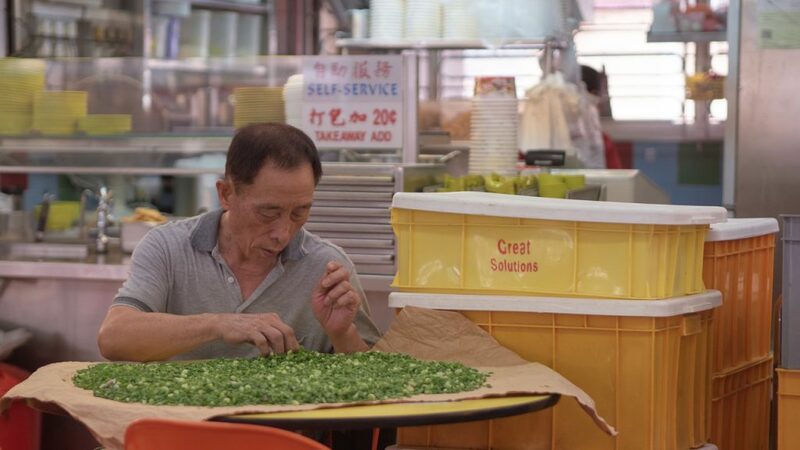 It was an amicable parting of ways, and one that saw Madam Yeong set up shop—now christened “Ming Kee”—in Balestier. “The independence was exciting! By then, I roped my two sons into the business and we worked together as a family,” Madam Yeong recalls fondly. Once again, success quickly found her. 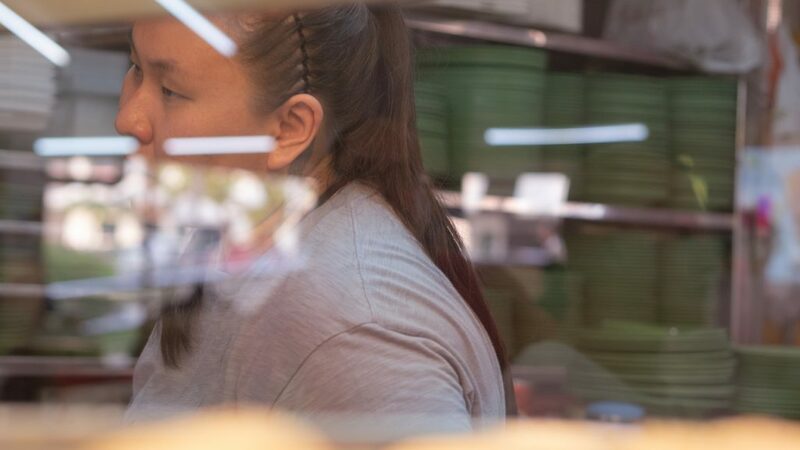 Long queues in front of Ming Kee became the norm, and finding an empty table in the coffee shop became increasingly difficult thanks to her stall’s popularity. 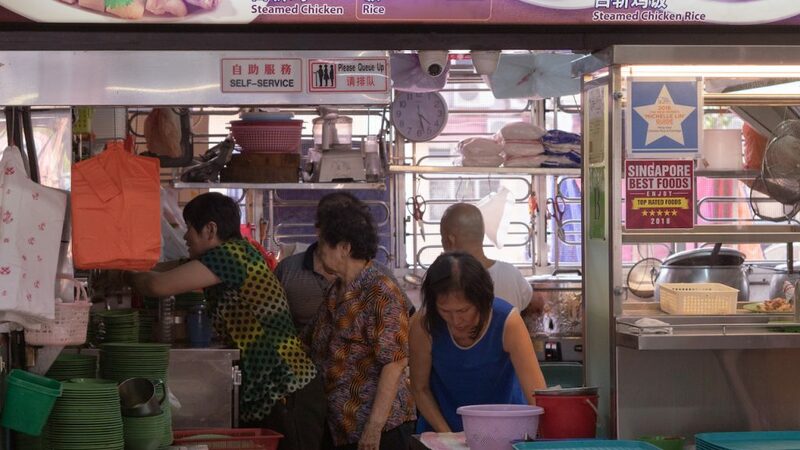 After 5 years, however, Madam Yeong and her beloved stall found themselves on the move again due to her then-landlord’s decision to sell the entire place. Fortunately, Ming Kee’s growing reputation saw help coming in the form of Mr Hoon Thing Leong, the boss of the Kim San Leng chain of coffee shops. 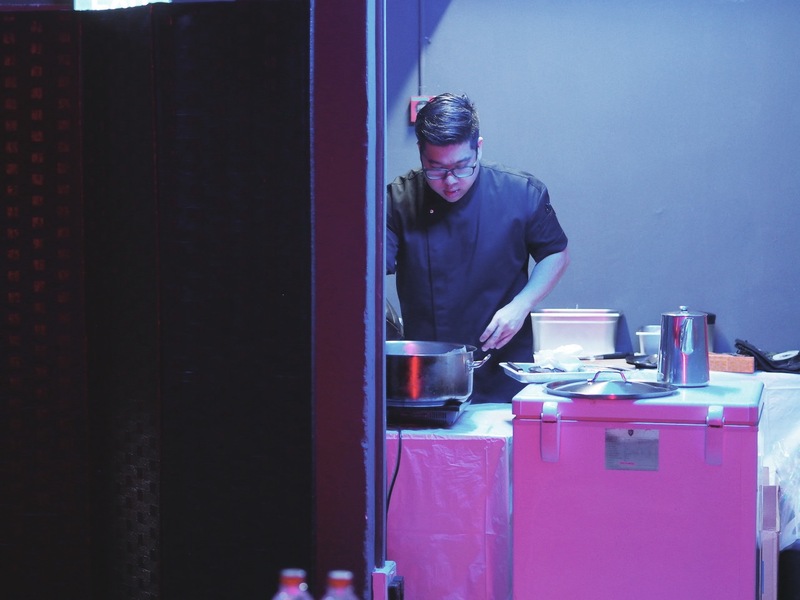 In 1990, he approached Madam Yeong and offered her a place in his new business venture—a coffee shop in Bishan he just purchased for a staggering $3.52 million. Needless to say, Madam Yeong agreed. “I think he hand-picked a few stalls and my grandma decided to join him back then. It was very timely,” Grace adds. Grace hasn't been doing this for long, but she will have to carry on the stall's legacy. History lesson over, I ask Madam Yeong what the stall’s first day in Bishan was like. She smiles and shakes her head. All she remembers, she says, is being extremely busy with preparation and cooking for hours on end. And it hasn’t changed that much over the years. For her, work has always been stressful. But instead of getting bogged down with negativity, she uses the stress as motivation to be better at what she does. After pausing for an introspective trip down memory lane, Madam Yeong continues. 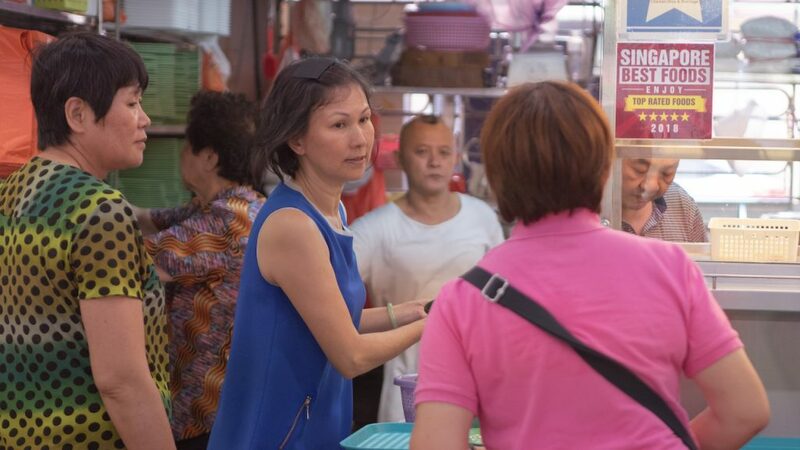 3 years ago, unfortunate circumstances found Madam Yeong alone, left to both run and manage the stall on her own with only a handful of hired workers for help. 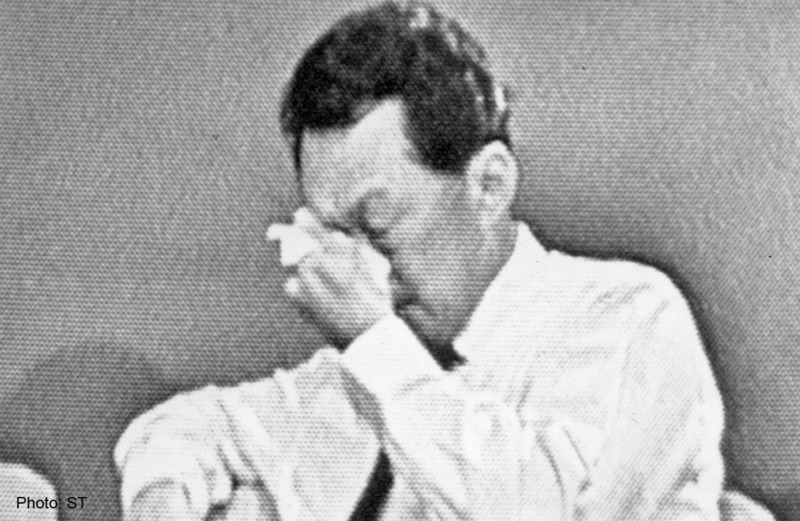 There was no heir to the legacy apparent, and fearful of what the increased workload would do to a Madam Yeong who was advancing in age, her concerned sisters dialled the number they had for a residence in Hong Kong. On the other end of that call was Joanne Lee—Madam Yeong’s daughter and Grace’s mother—who had migrated shortly after Grace’s birth. For many years, she had been working as her husband’s secretary in the paper industry. But upon hearing about her mother’s struggles, the family of Hong Kong Permanent Residents immediately dropped everything to return home. Grace, however, was already in Singapore. It is also at this point in the Ming Kee story that I learn two things that astound me. First, Grace has only been working full-time at Ming Kee for around 9 months. Second, that before she was handed the reigns to ensure Ming Kee lives on, Grace had been with A*STAR, her first job after receiving a degree in Pharmaceutics from the University of Brighton in the United Kingdom. “For my grandma, this stall is her everything and means a lot to her. Even until today, she still insists on coming down when she can be in the comfort of her own home. I figured that would be a real shame if there wasn’t someone to continue her legacy so I decided to tell my grandma that if she really needed me, I’d quit my job and help out here,” Grace says. But unlike her parents who were thrown into the deep end and left to figure out how to stay afloat and navigate a completely different life, Grace took 2 years to tie up loose ends at work and think her decision through. During that period, her colleagues repeatedly advised her to seriously consider what she was about to do. She was going to give up a stable 9-5 job in an air-conditioned lab for a 6 day work week filled with hard labour. The thought of what she was about to sacrifice was daunting, but there was nothing they said that Grace didn’t already know. Besides, her grandmother was family. And family always comes first. Grace's mother, Joanne, left a comfortable life in Hong Kong to help out at Ming Kee. “I definitely had it easier than my parents. They were the ones who really had to start from zero because my dad never had any interest in cooking and my mom was used to living the tai tai life back in Hong Kong. But they didn’t have a choice. For her, the biggest surprise was the sheer amount of time spent working. 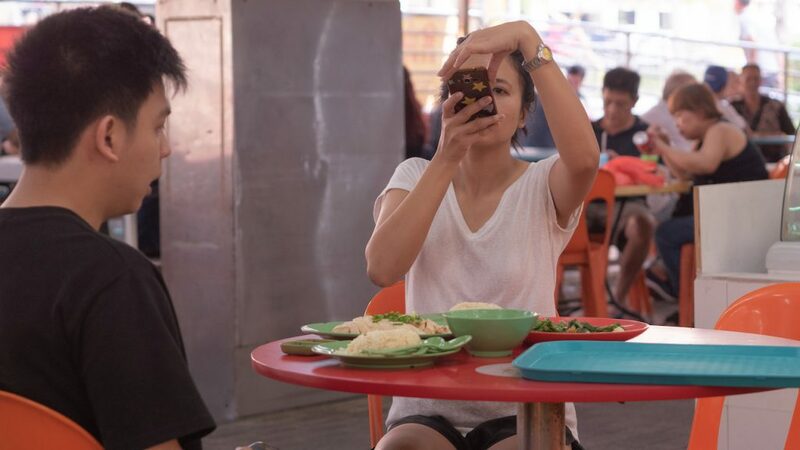 She had always assumed that hawkers would get pockets of breaks in between meal times, but she couldn’t have been more wrong. The lunch crowd starts streaming in as early as 11am, and lasts all the way until 3pm on some days. Only once the insane queues have died down, and everyone returns to their desks with full bellies, does she sit down to have her own meal—a hurried one never too far from the stall, lest it starts getting crowded again with the dinner rush. Having to memorise orders was also difficult at the beginning. 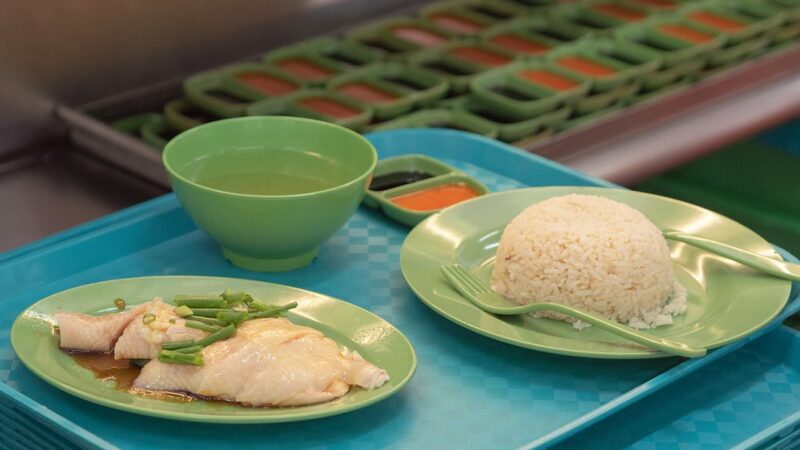 Grace explains that she has “really bad” short term memory, and doesn’t have the luxury of jotting orders down on her phone in the fast-paced environment of a popular chicken rice stall. This meant quick mental arithmetic, yet another nightmare she had to learn how to deal with. 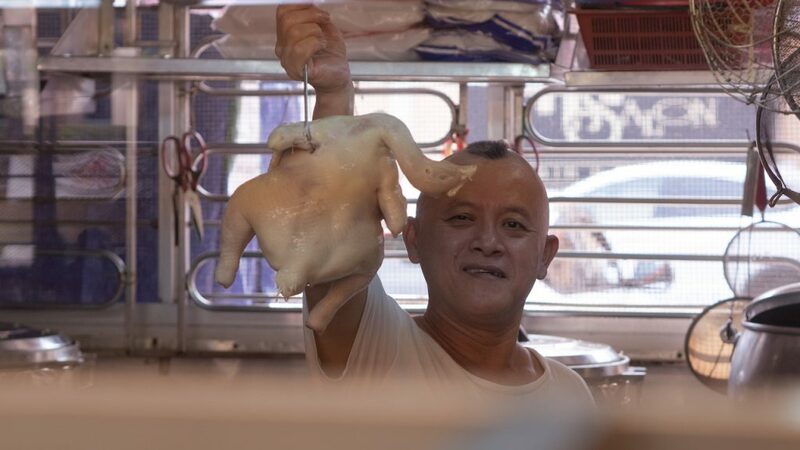 Yet no matter how good she was or could be, running a popular chicken rice stall isn’t a one-woman show. To everyone working at Ming Kee who wasn’t family, she was the new kid on the block, and they weren’t sure how to feel towards her. Being much younger than all of her staff didn’t do Grace any favours either. Initially, she found it hard to correct them whenever they did something wrong. But bit by bit, she figured her new life out. After a couple of bumps along the way, she figured how to speak firmly yet respectfully to them. If there’s one thing Grace hasn’t quite yet figured out though, it’s how to deal with the immense pressure that comes with carrying on her grandmother’s legacy. Too often, she’s heard of instances where a reputable restaurant’s standards take a nosedive off a cliff when the next generation takes over. Sometimes, the reputation recovers, and everything goes back to normal. Other times, the stall fades into obscurity, a shadow of what it once was. Either way, it’s scary. And Grace isn’t willing to gamble with what her grandmother holds so dear to her heart. Grace admits that the pressure is always at the back of her mind. To cope, she tries to keep everything as standardised as possible. Even the slightest deviation (i.e a larger than normal pinch of salt) is a big no-no. Just like her grandmother so many years ago, Grace has experimented with the recipe—only, instead of trying to improve it, she’s learning how to protect it. 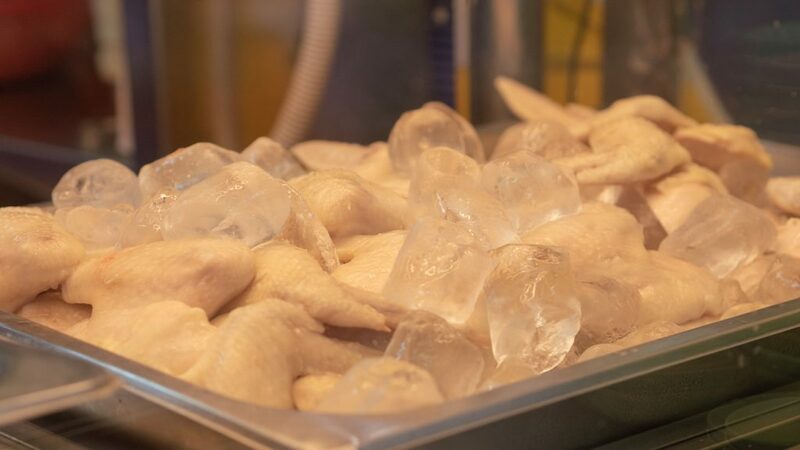 She admits that she dreams of automating certain processes or having a centralised kitchen to ease the workload on staff without compromising the quality of chicken rice that customers have come to know and love. But with her grandmother still at the helm, her ideas on introducing cashless payment systems and a possible collaboration with her cousins in the food business, will remain just that: ideas. An avid diver, Grace also shares that she’s had literally no time for holidays, much less a social life, and envisions a future in which she needn’t be so hands-on with the daily operations of the stall. But for now at least, change will have to wait. As our conversation comes to a close, and Grace and Madam Yeong prepare to end their extended lunch-break to face the onslaught of the dinner crowd, I finally ask them what they think of hawkers who don’t have successors to keep that tradition alive in the first place. It’s Grace who chooses to answer, and her reply is simple yet poignant. “I think it’s a real shame. When a flavour that you once knew is lost, it’s usually lost for good. It’s difficult to reconstruct the taste that you so fondly remember, and even harder describing it to someone who’s never tried it. It’s almost like a piece of history being lost,” Grace tells me, as she smiles at the 78-year-old woman beside her. While Grace might always have to deal with an insane amount of pressure, to her, the Ming Kee institution will always be worth protecting. 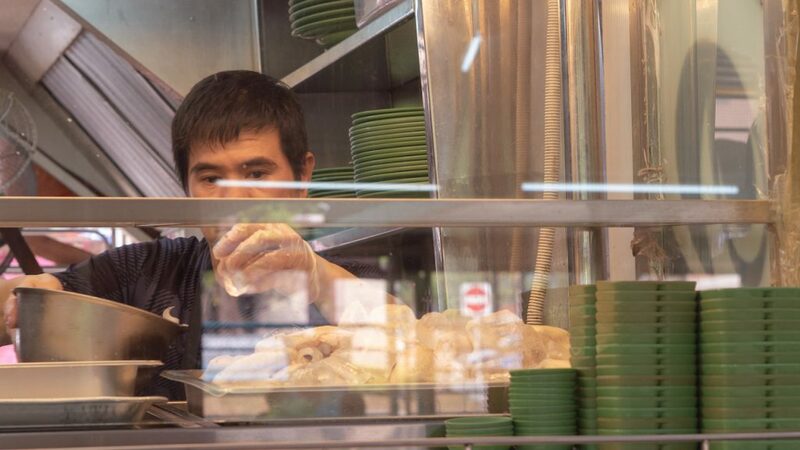 Now, more than ever, hawker food is about sacrifice. 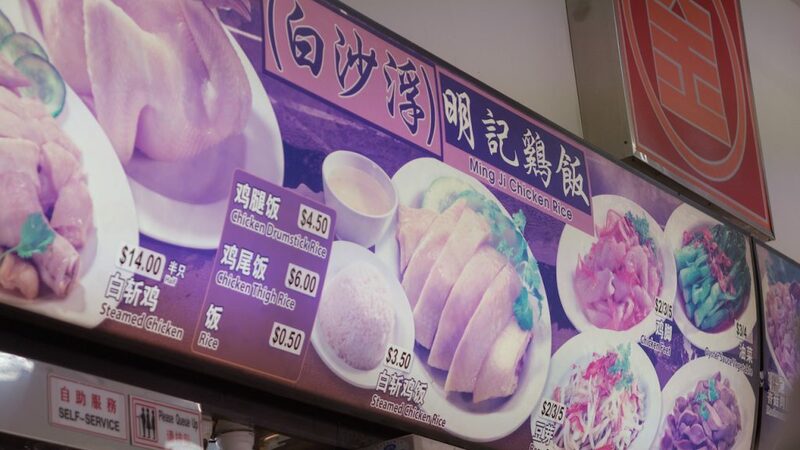 So while a plate of Ming Kee’s chicken rice might cost $3.50, just remember: upholding a legacy is priceless. 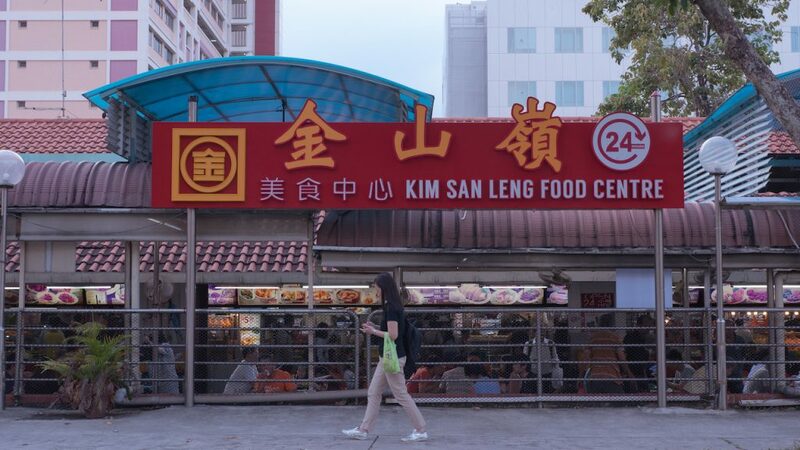 Kim San Leng is one of the oldest coffeeshop chains in Singapore, having been in business since the 1950s. Today, they have over 30 outlets islandwide, and have launched an in-house delivery service where you can get delicious local delicacies delivered to your doorstep.